Our cartridges are designed to bring you complete satisfaction, and ensure print quality similar to that of the original cartridges. Bright and long-lasting photos? Net and accurate professional documents? Do not compromise on quality with ARMOR inks. More than 50 tests are needed to develop an ink, in order to measure its physical and chemical properties and its printing characteristics. Each cartridge has its own ink (there are more than 100 Armor inkjet formulas): this is the only way to ensure colour and performance similar to the original. 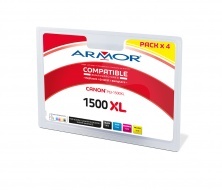 Each Armor ink is compatible with the original ink (no chemical reactions between them) and is designed to protect the printer's print head. As part of its ISO 9001-certified quality organisation, Armor has implemented, throughout the development and production cycle, monitoring procedures to ensure the delivered product's compliance with the initial specifications' requirements. 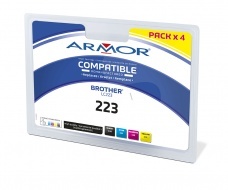 ARMOR is thereby able to guarantee its inkjet-compatible cartridges for a period of three years from the product's date of purchase. 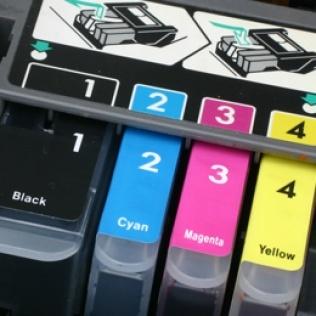 This warranty ensures the faultless operation and reliability of its printer consumables.